If I say Rebecca St. James, then the first thing that probably comes to mind is music artist. If that is the case, then you would be right, but did you also know that she is the author of several books and What is He Thinking?? is her latest release? Australian born Rebecca is all about “the creative” as a Grammy Award winning artist, Dove Award recipient, winner of Favorite Female Artist in Contemporary Music by CCM Magazine readers (seven consecutive years), winner of Best Female Artist by Christianitytoday.com (five consecutive year), a character voice in a Veggie Tales movie, and an author of books. Recently married St. James has been an inspiration to many young girls through song and her books where she has encouraged them about purity, modesty, and patience as they wait on the one God has specially made for them. Rebecca also gets personal as she discusses her experience dating as a Christian, the struggle she had with loneliness, and relying on God to direct her dating life. This books is not just for young or single people and also has interviews from older mentors, which include her life coach and pastor father, and other men who have been married successfully for many years. This book is not just about dating, but also about steps to consider when beginning the dating relationship, going through it, and the growth of that relationship as it possibly leads to a marriage relationship. Learn more about Rebecca St. James: visit his Web site, Like her and leave a message on her Facebook page, meet other fans of What is He Thinking? ?, follow her on Twitter, or watch her videos on YouTube. 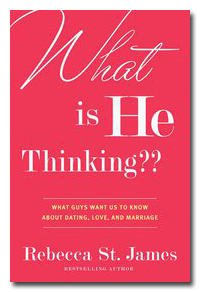 One (1) lucky reader will win a copy of What is He Thinking?? by Rebecca St. James. Complete the required entry below. Once the REQUIRED entry has been done, then you may enter additional times by leaving an extra comment for each bonus entry completed. The giveaway is open to U.S. and international residents and you must be at least 18 years old. 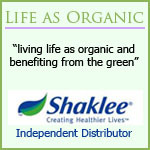 The winner will be notified by E-mail and given 48 hours to respond or another winner will be chosen. This giveaway ends 10/21/11 (extended) at 11:59PM CST and the winner will be announced 10/23/11 and listed on the Official Winners List. I like Milk & Honey Mommy on FB. I like “What is He Thinking?” on FB. I’m now following your blog. My best advise was Never stop Dating. So true! The best marriage advice I got was from my husband Grandpa – he said choose not to fight but choose to communicate through your problems. Easier said then done for most, but it does help! I like What Is He Thinking? – Rebecca St. James on FB! I follow you on GFC as BritJJ!